There are plenty of options for dim sum in Hong Kong. 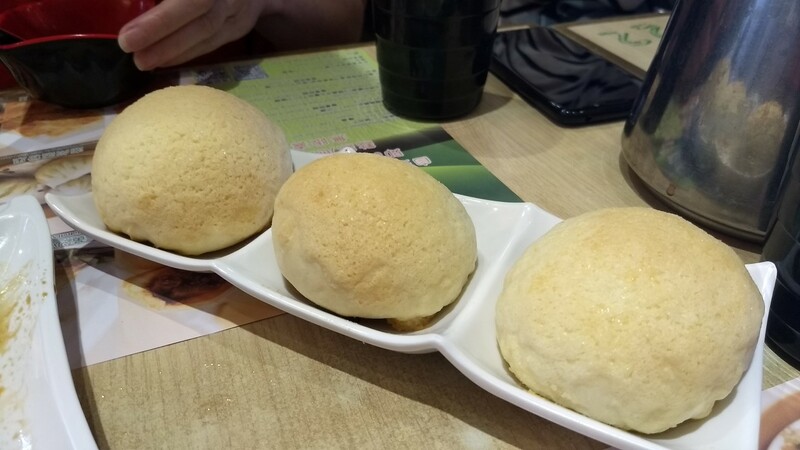 After some deliberation, we settled on Tim Ho Wan because it was both well-regarded (including a much-hyped Michelin star) and inexpensive. 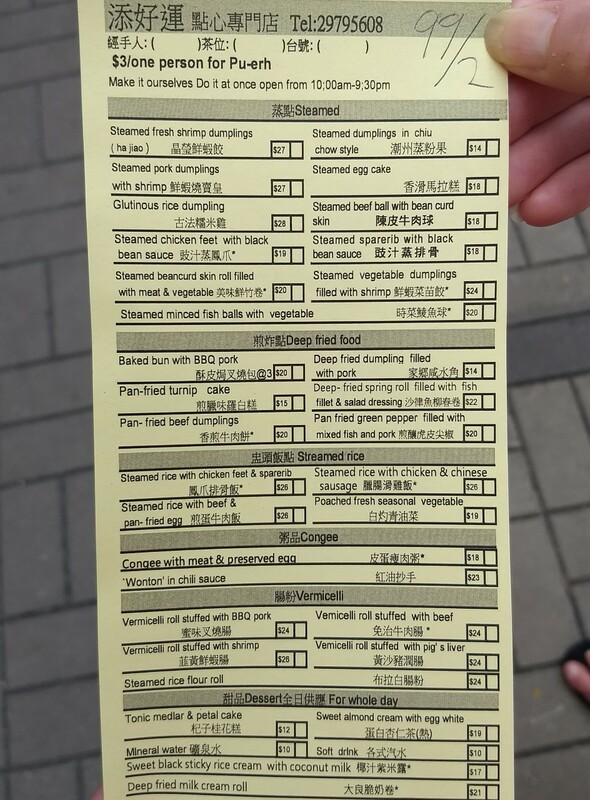 Also, they have menu-based ordering. 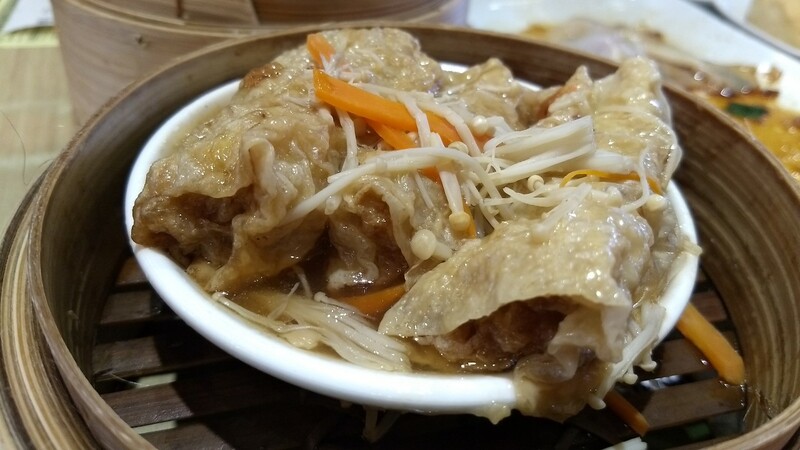 While I understand the appeal of frantic and chaotic ordering from carts as the dim sum ladies push them about, I prefer being able to get the exact items I want. 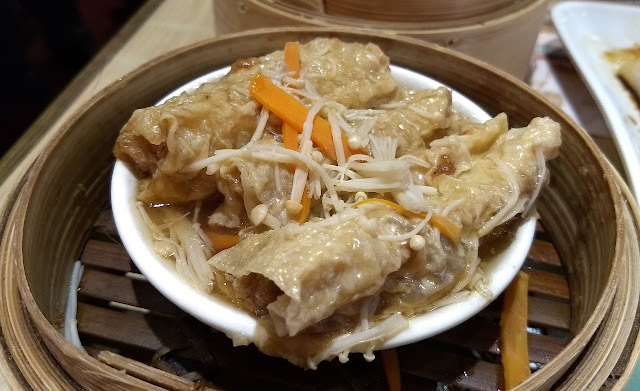 Lovely thin rice noodle wrapped around delicious pork and topped with a very nicely balanced soy-based sauce. We had never had chicken feet before, so we figured that we should try them. Turns out that we liked them - a lot. Finicky to eat, but with a fantastic texture and a great sauce. The outside is very delicate and slightly sweet. 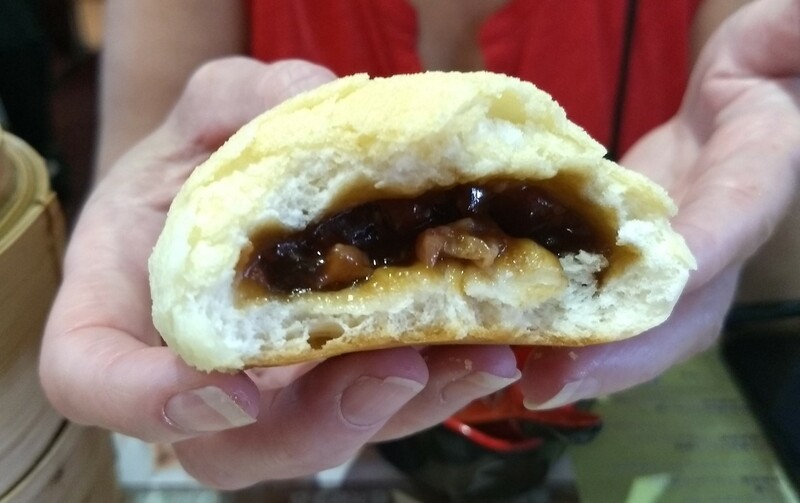 The filling is deliciously savory pork, and not too sweet. 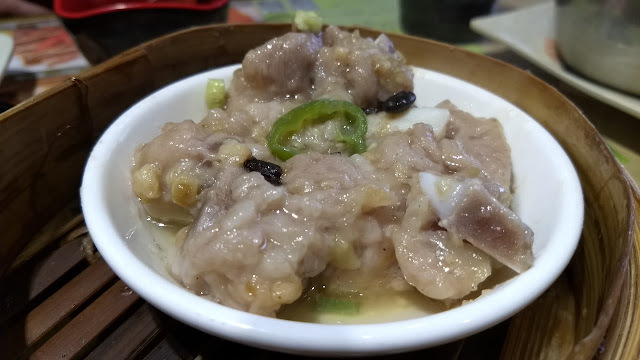 Another favorite of ours was the steamed beancurd skin with a pork filling. Really nice. Back in Hong Kong on our way home, we couldn't resist a return visit. 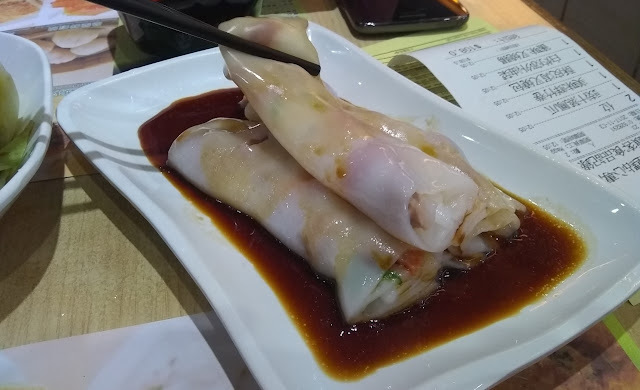 We repeated the bbq pork rice roll (adding a second, beef version as well), and the filled beancurd skin. This is basically the prototypical clay pot rice contents, but without the crispy rice bottom you get from the clay pot. 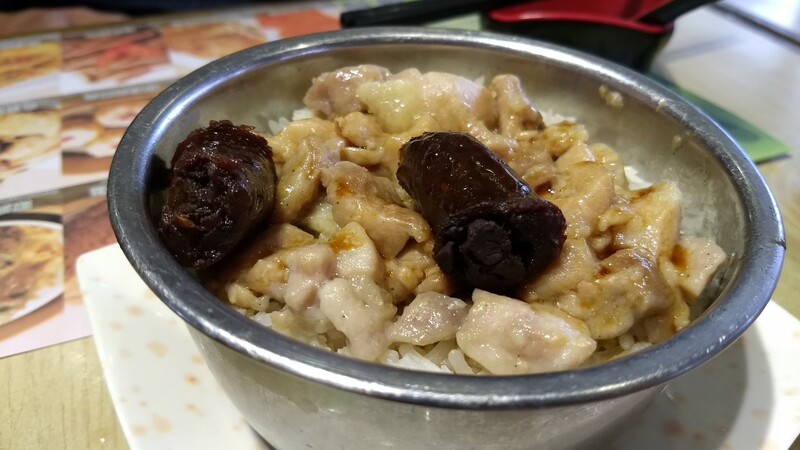 The sausage was fun, and the chicken was very good. Hard to eat, but super tasty. 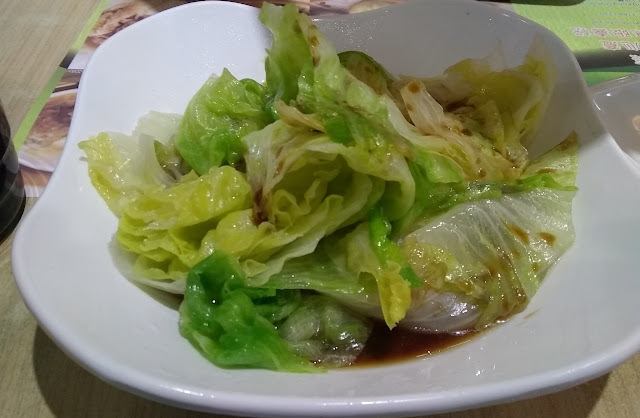 We rounded out both visits to Tim Ho Wan with "poached fresh seasonal vegetable" - which turned out to be lettuce. 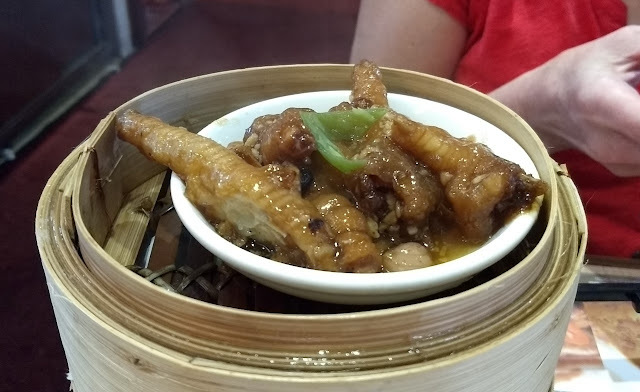 We mostly got it to get some vegetables in us, but it was surprisingly delicious, mostly due to the sauce they poured over. 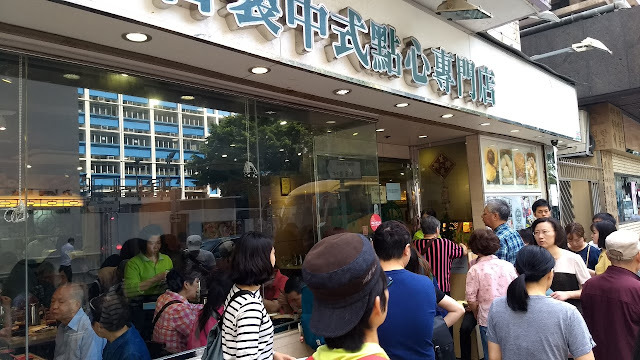 Tim Ho Wan has a number of locations in Hong Kong - we went to the one in North Point.